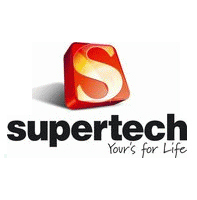 Supertech Limited was founded in 1988 and has succeeded in establishing various commercial and residential projects across Delhi NCR, Meerut, Moradabad, Haridwar and Rudrapur. Their vision is to constantly create value for their customers and business partners by using state of the art engineering techniques along with using top quality materials during construction. Some of their most notable residential projects include Supertech Estate, Supertech Residency, Avant Garde, Rameshwar Orchids and Icon in Ghaziabad, Ceyane Tower, 34 Pavilion and Emerald Court in Noida. Their most prominent township is Green Village in Meerut. Supertech Limited has been commended on their prominent commercial projects such as Shopprix Mall in Vaishali, Shopprix Mall Kaushambi, Shopprix Mall in Ghaziabad and The Pentagon Mall in Haridwar. They also have various hospitality projects in their portfolio including Radisson Blu and Hyphen in Haridawar, Radisson Blu in Rudrapur, Hyphen in Meerut and Hyphen in Noida. Under the leadership of their chairman, R.K.Arora, Supertech Limited has created a formidable empire for itself. They have also been extremely active in the social sector and have spearheaded corporate social responsibility initiatives such as ‘Kaksha’, an initiative to educate children in the rural sector along with providing public amenities in various places.